It was a beautiful sunny day when Charlotte Philcox the well-known Norfolk garden designer, consultant organic gardener and writer came to judge Aylsham in Bloom’s annual Traders’ Competition. 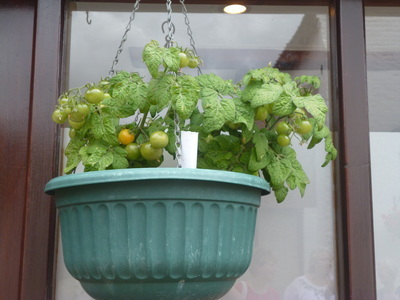 This year saw a record number of forty-three entries. 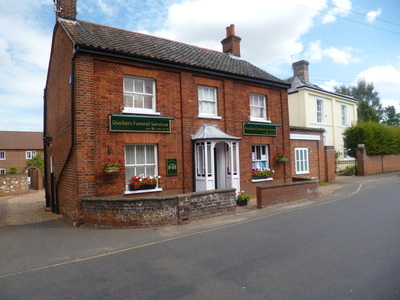 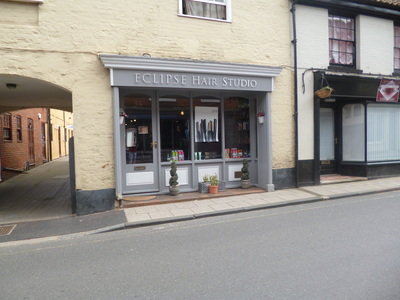 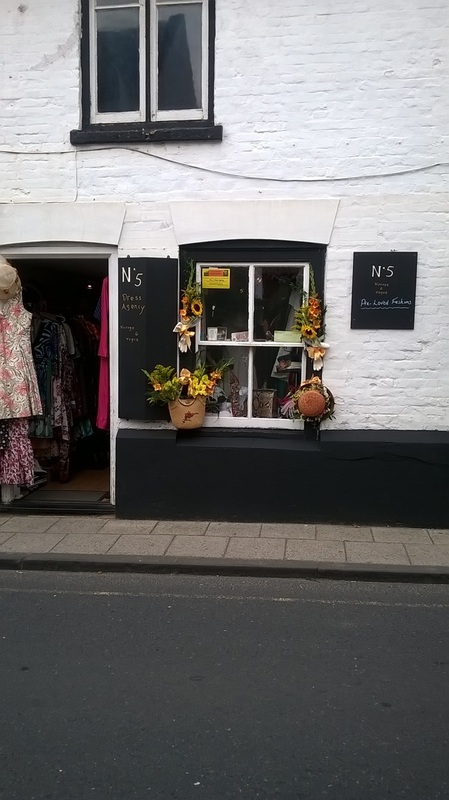 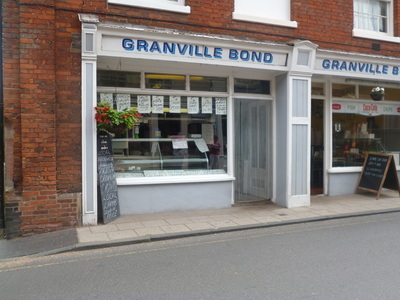 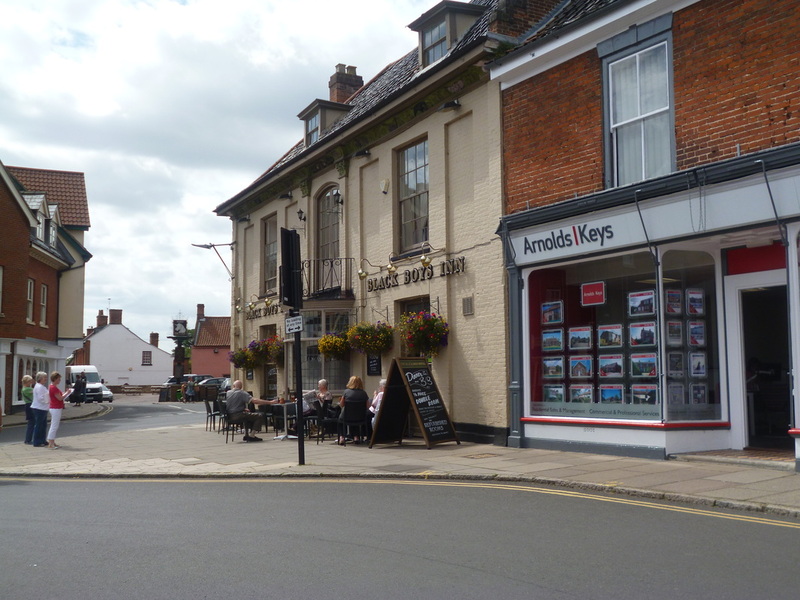 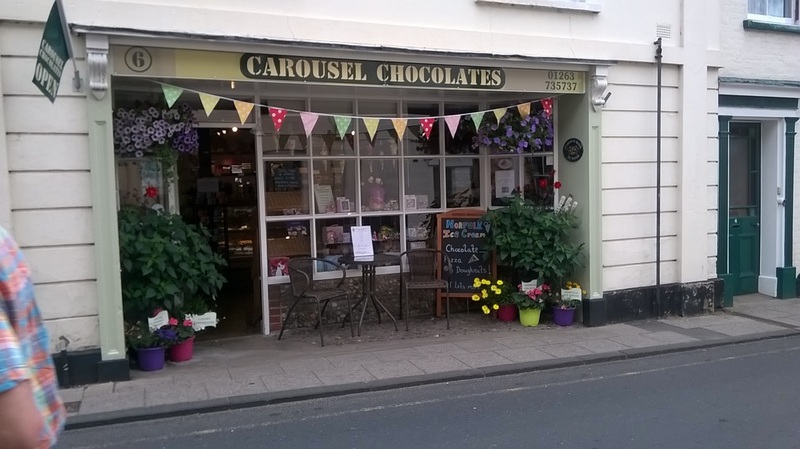 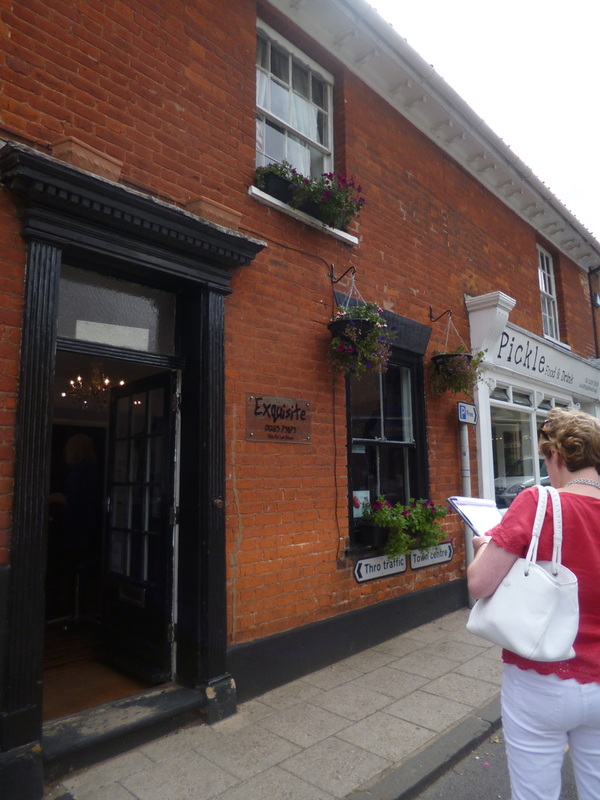 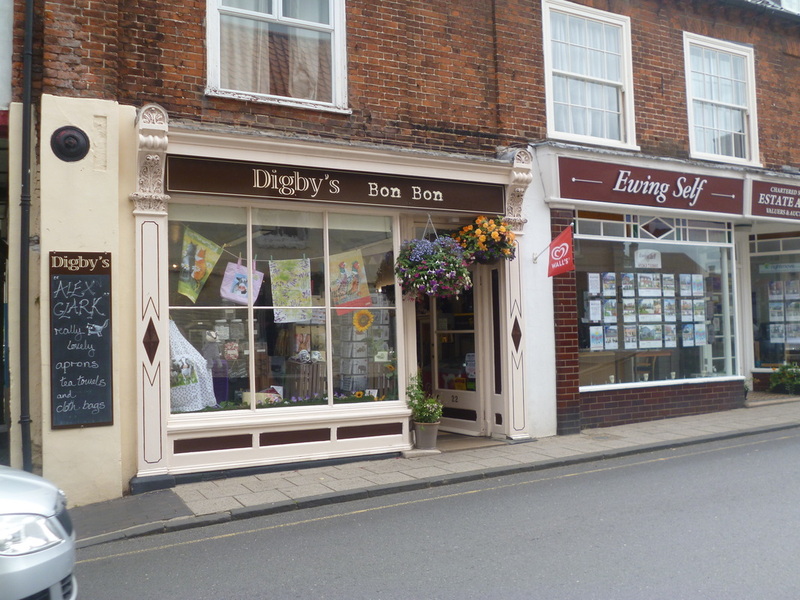 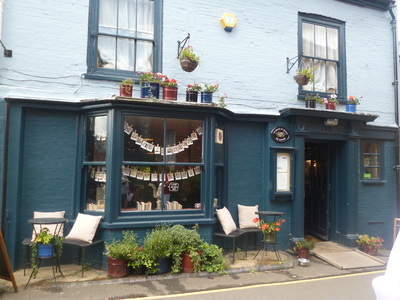 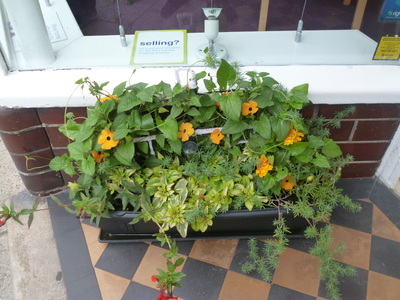 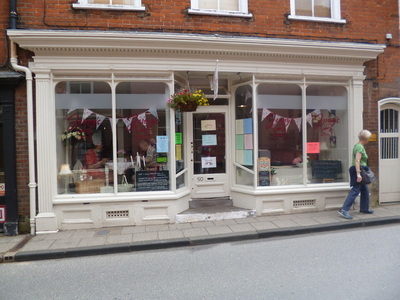 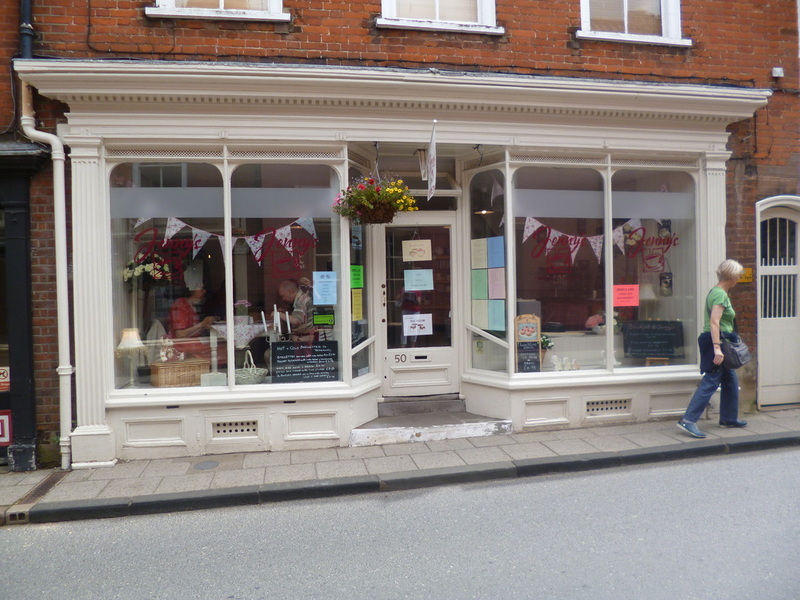 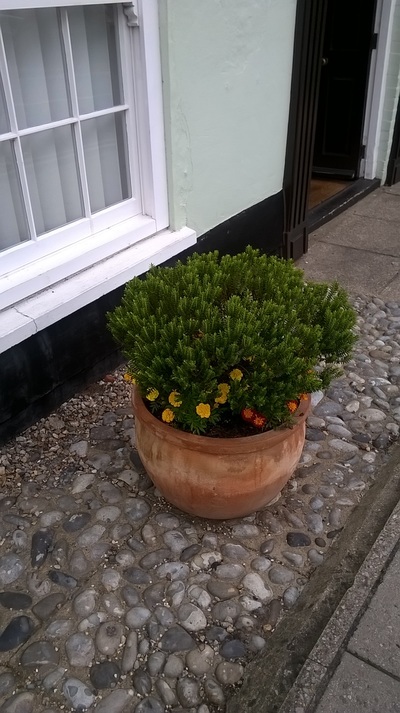 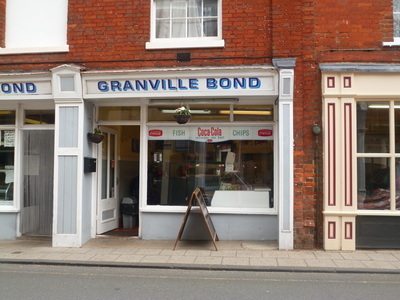 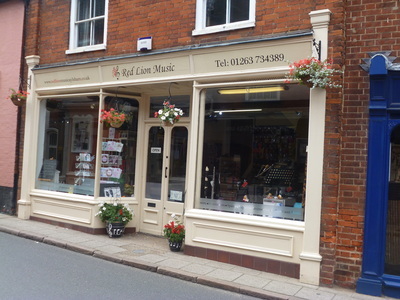 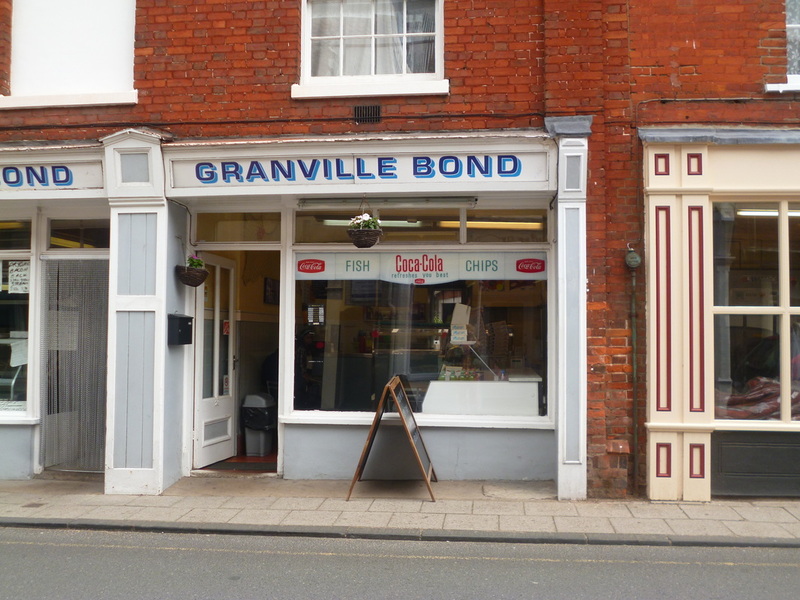 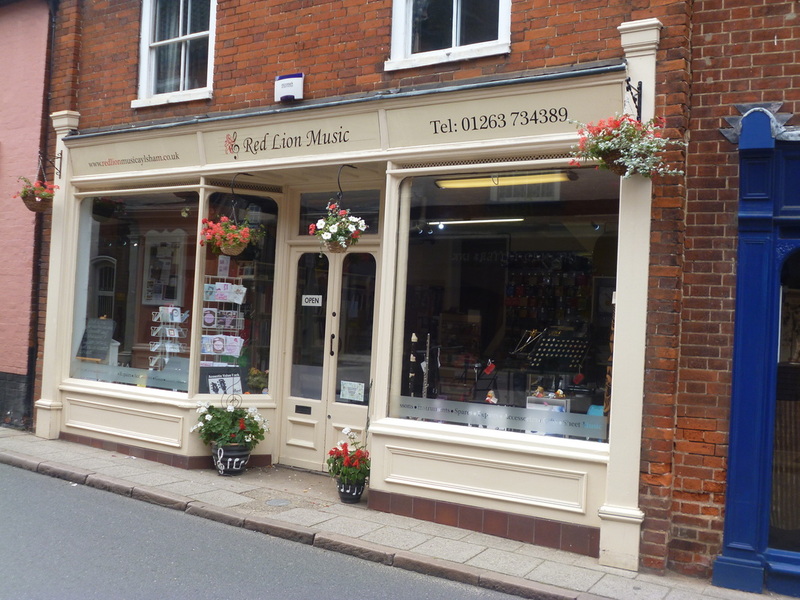 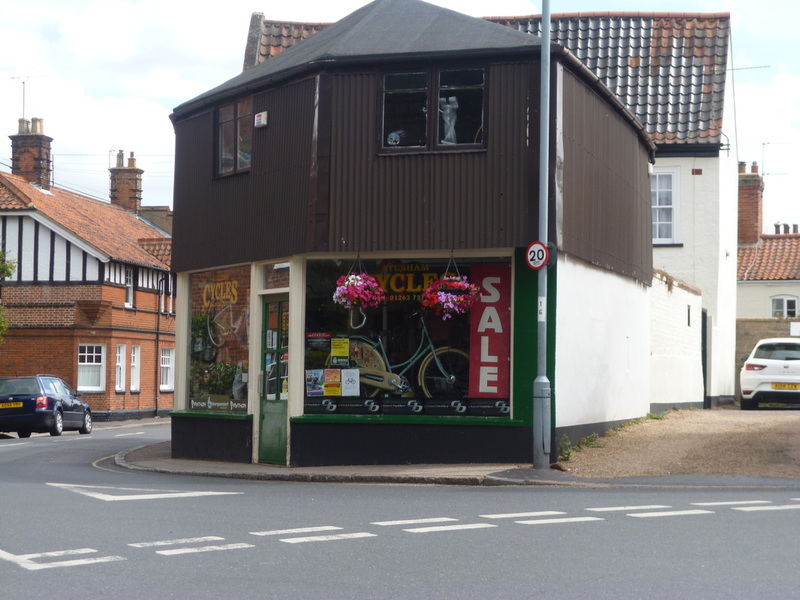 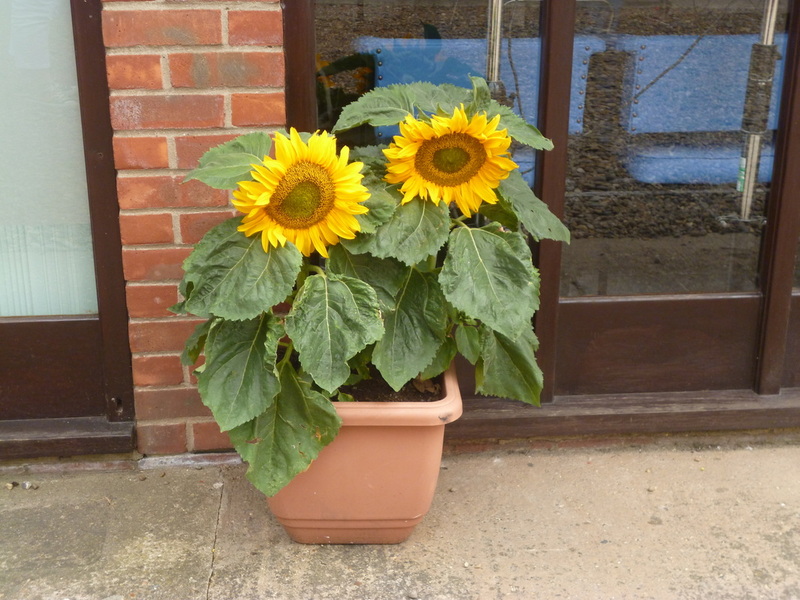 Any Aylsham town centre commercial premises with an external floral display can enter. 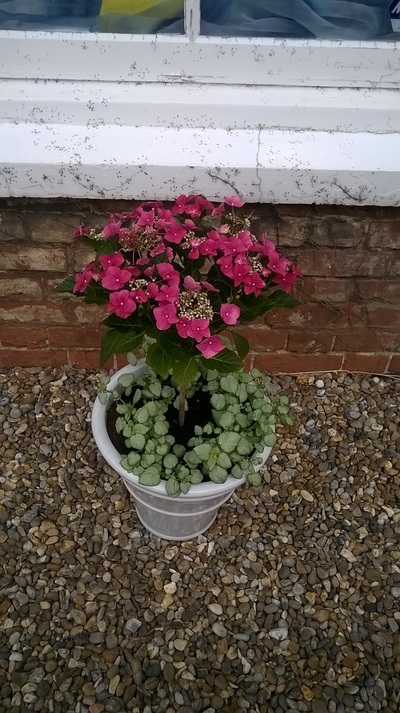 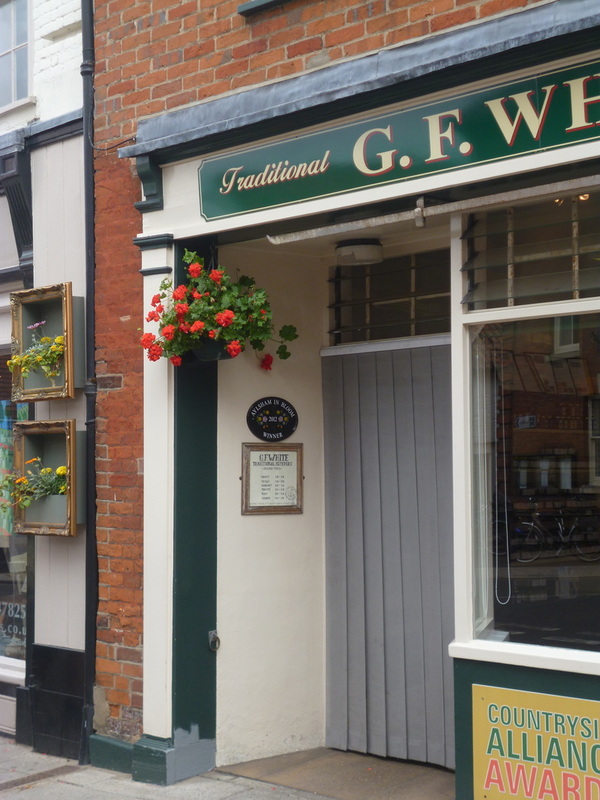 We had noticed a growing trend over the past few years where traders are becoming very creative with their blooms, so we thought it was time to have another award in addition to the coveted Aylsham in Bloom cast iron winner’s plaque. 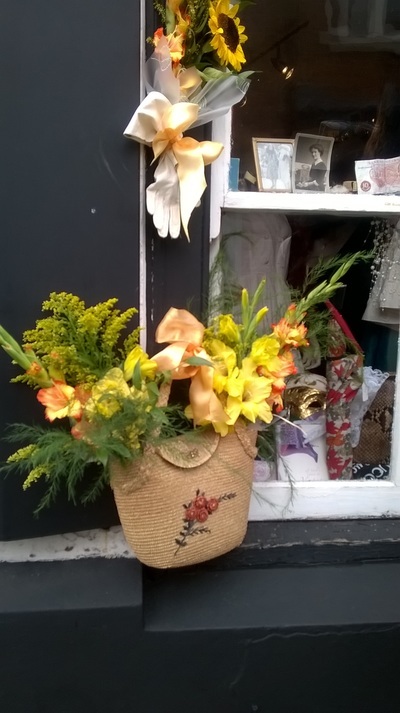 This extra award is called “Inside Out” and is specific to those traders who choose to reflect the nature of their business in their floral displays. 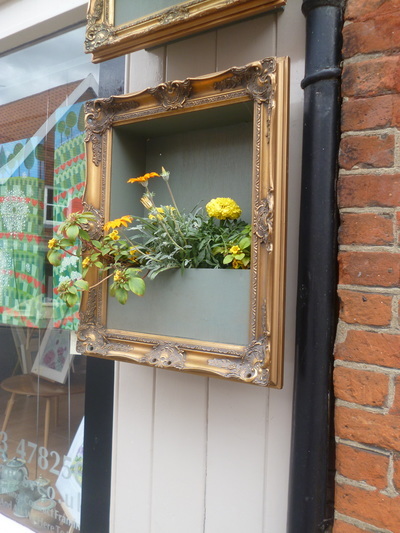 As you will have seen around the town many traders are getting into this with plenty of enthusiasm. Charlotte inspected all the displays carefully and then had the very difficult task of choosing just one winner from each category. She said she was very impressed by how many had participated and how they helped to make Aylsham look beautiful. She gave her congratulations to everyone who took part. 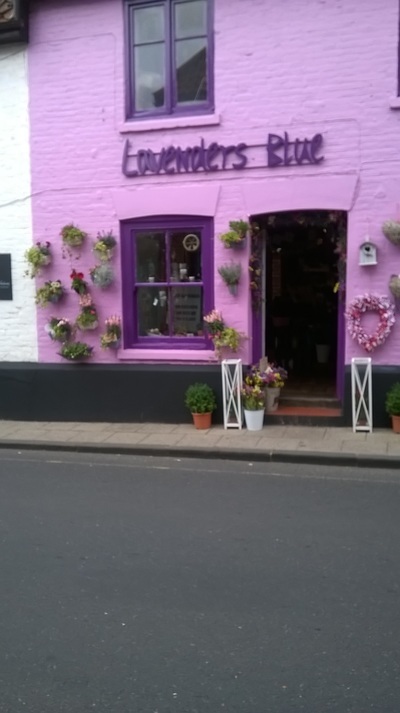 The winner she chose for the overall traders’ competition was The Unicorn in Hungate Street. 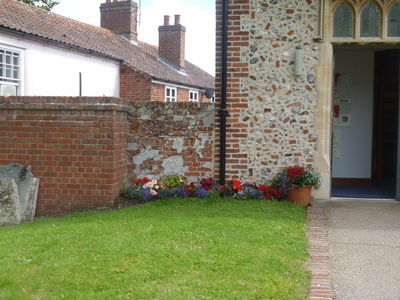 She particularly liked their use of vibrant colours and how well the flowers had been looked after. 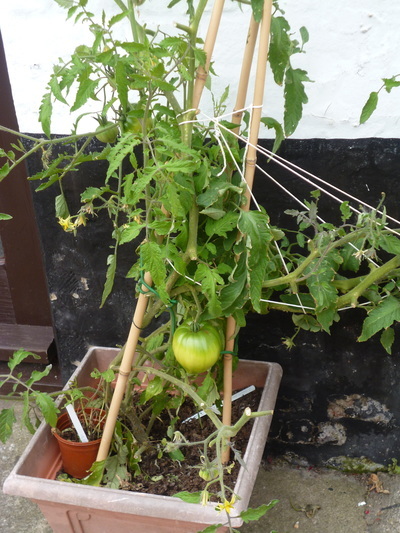 She also liked the growing of tomatoes, definitely locally produced! 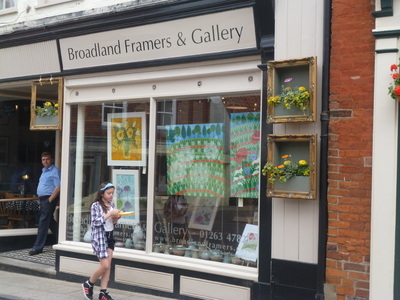 There were so many excellent displays that Charlotte insisted on some ‘highly commended’ awards, too. 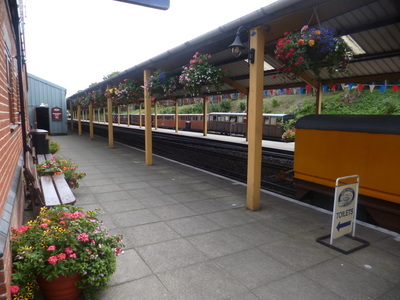 These ranged from large displays at The Bure Valley Railway and The Dog Stop. 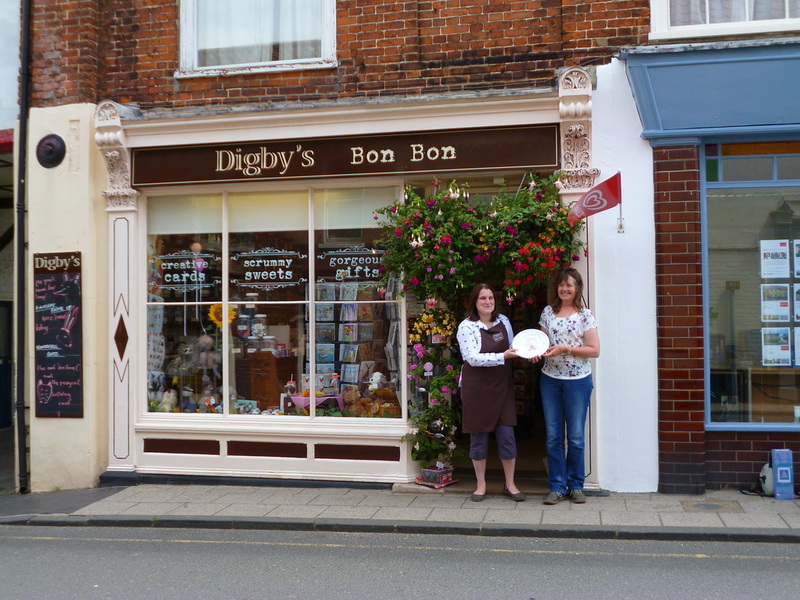 The winner of the “Inside Out” competition was difficult to choose, but after much deliberation Charlotte chose Digbys Bon Bon. 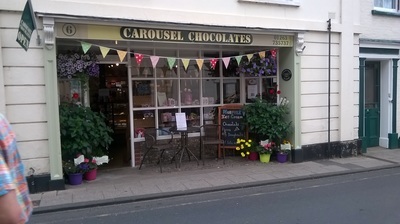 She loved their use of flowers, colours and the interaction with the confectionery displays. Again it was impossible for her not to include a couple of highly commended awards for Coxfords Butchers and Back in Motion. 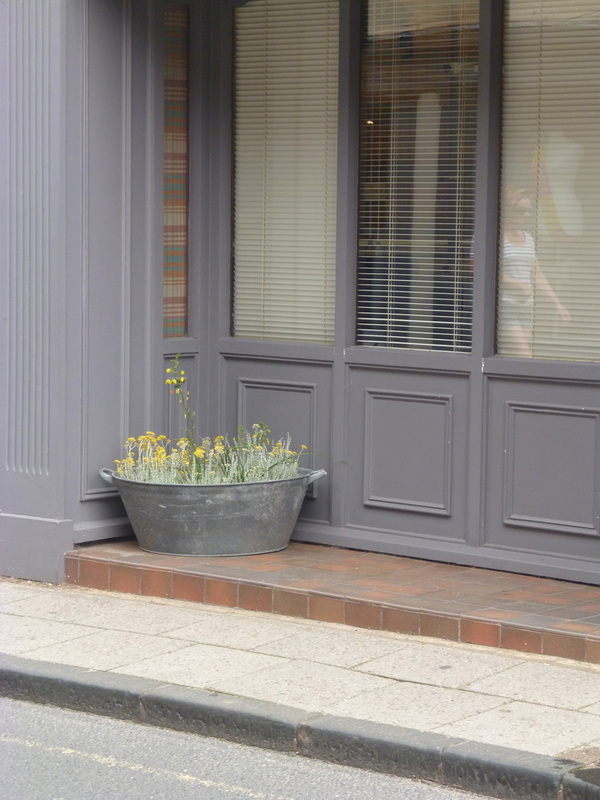 Unfortunately, A &M carpets could not have an external display due to lack of space. 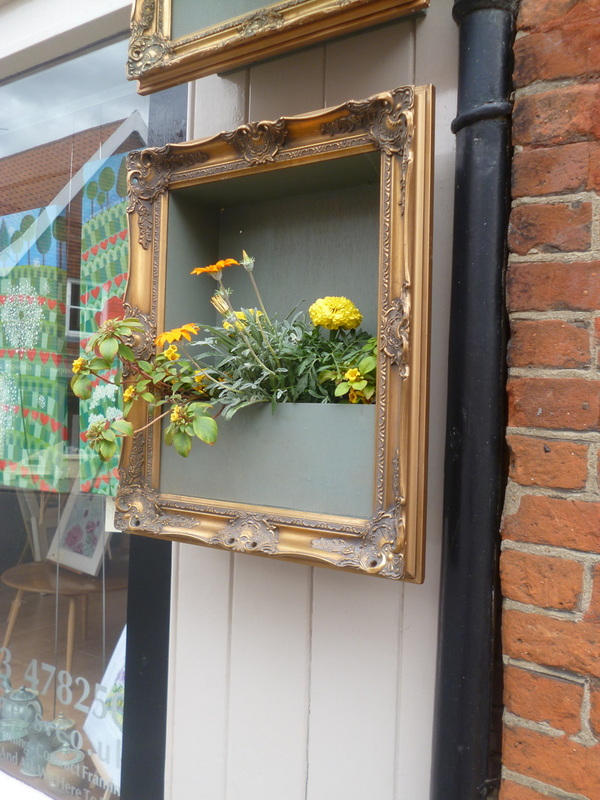 However, Charlotte felt they deserved a “special mention” for their highly innovative internal display. 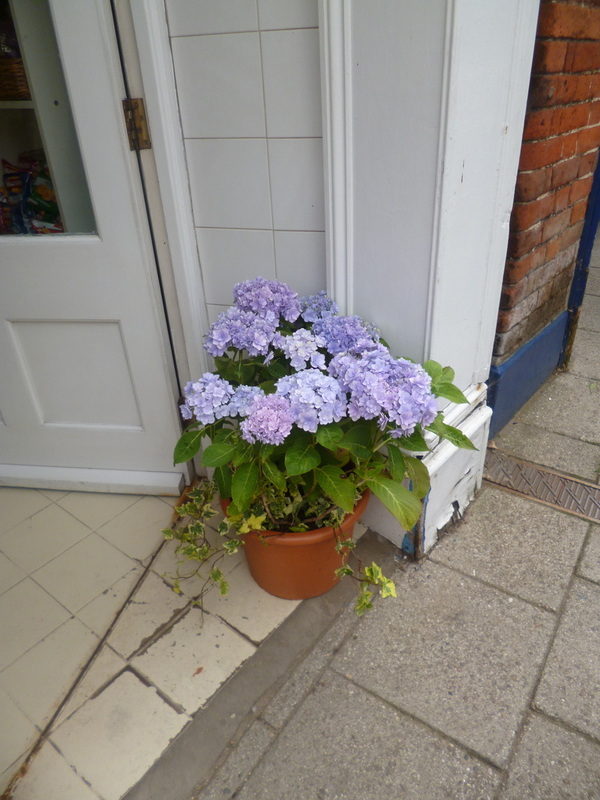 A big thank you to Tesco Aylsham for sponsoring this event and Aylsham in Bloom would like to thank all the traders who entered this year's competition and helped to make Aylsham look blooming lovely again. The sun was shining gloriously when the BBC Look East presenter, Susie Fowler-Watt visited Aylsham to judge Aylsham in Bloom’s annual Traders’ Competition. This year saw a record number of almost forty entries. Any Aylsham town centre commercial premises with an external floral display can enter. 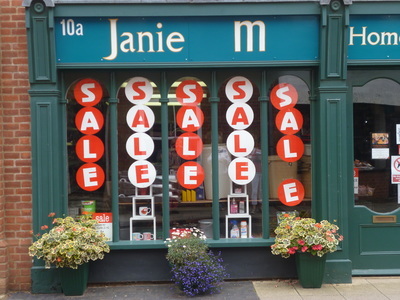 Susie inspected all the displays then had the very difficult task of choosing just one winner. 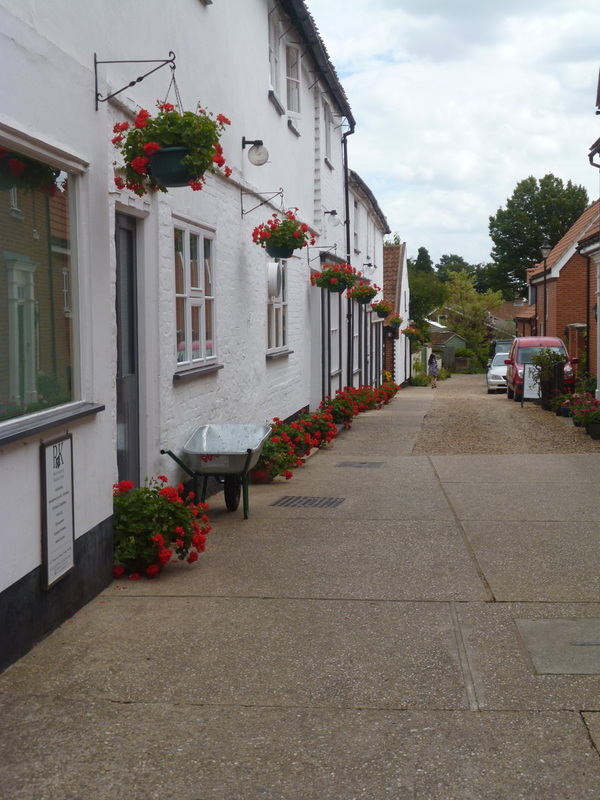 She said she was very impressed by how many had participated and how they helped to make Aylsham look beautiful. She gave her congratulations to everyone who took part. 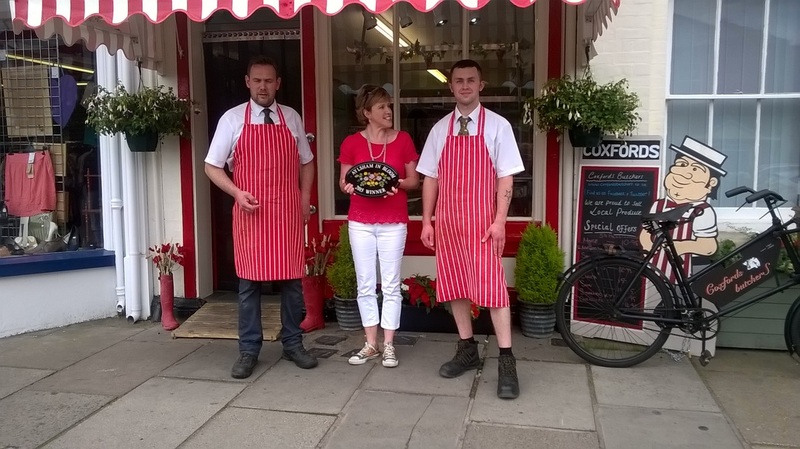 The winner she chose was Coxfords Butchers in the Market Place. 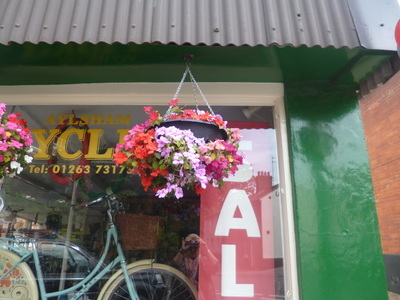 She particularly liked their use of props which included an old delivery bicycle and a pair of wellies. 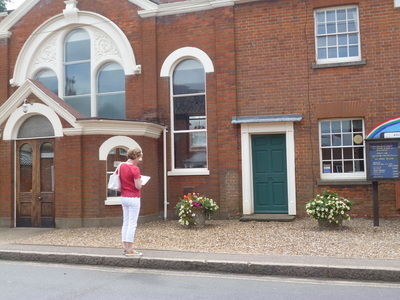 And she said their red and white colour scheme was very effective as it co-ordinated with everything, even the pinnies. 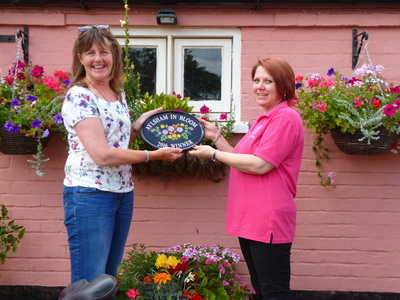 Jason Gibbons and Johnny Payne were delighted to receive the winner’s plaque, sponsored by Tesco, from Susie. 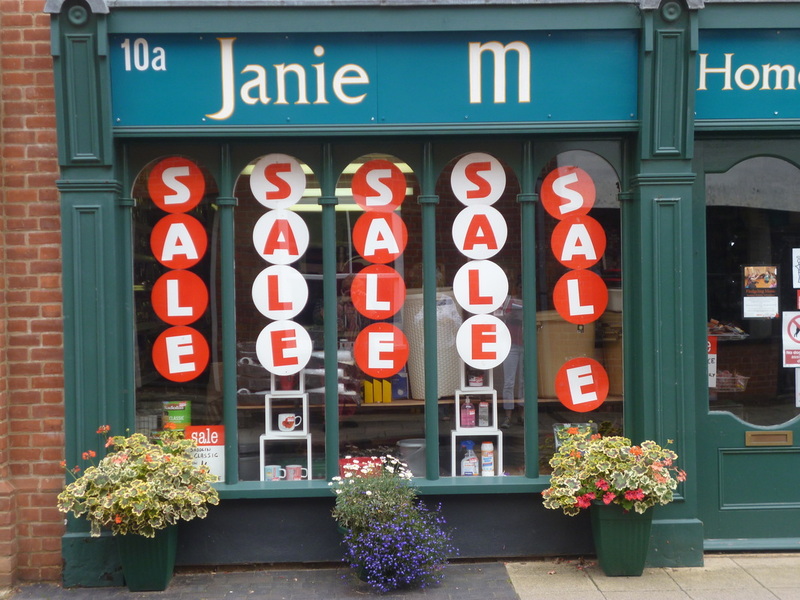 There were so many excellent displays that Susie insisted on some ‘highly commended’ awards, too. These ranged from large displays at The Unicorn, Bure Valley Railway and GF White, through colourful plantings at The Pump House, Digby’s Bon Bon, Just Regional and Carousel Chocolates to the wall of flowers at Lavender’s Blue. Aylsham in Bloom would like to thank all the traders who entered this year's competition and helped to make Aylsham look blooming lovely.